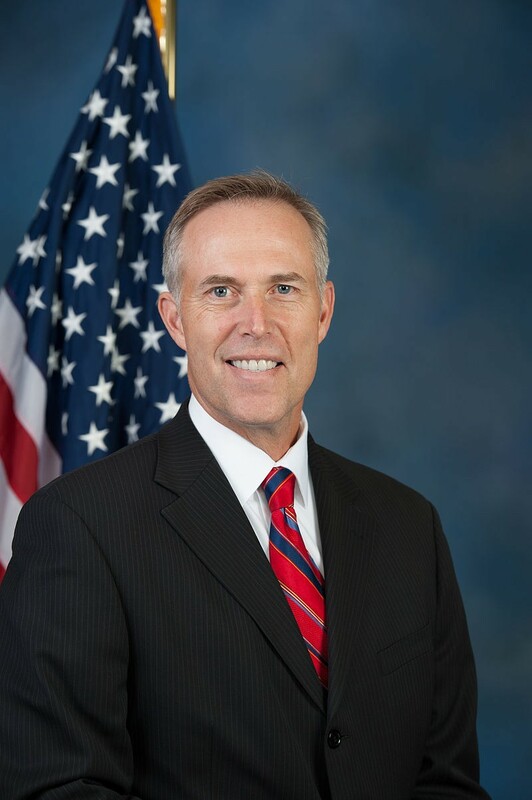 North Coast Congressman Jared Huffman introduced sweeping public lands legislation today aimed at guarding communities against wildfires and protecting public lands. 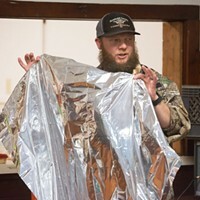 The introduction comes about a year after Huffman held community meetings throughout the rural stretches of his district, which allowed him to incorporate input and feedback from a variety of stakeholders, including tourism organizations and recreation groups, restoration specialists and tribes, conservation groups and timber companies, fire ecologists and fisheries scientists. While the legislation is far reaching and hits on a variety of areas, it does not include any large appropriations, which many feel would have limited its chances at passing. If passed, the bill would conserve more than 260,000 acres of public land as wilderness areas by expanding nine existing ones and creating eight new ones. “Wilderness” is the strongest protection available for certain areas of public land available under federal law and outlaws logging, mining and new road construction, while allowing camping, hunting, fishing, horseback riding and other recreational activities. The bill would also designate almost 400 miles of new wild and scenic rivers, a status that will protect them from the construction of new dams or major water divisions. Additionally, it would create a special restoration area of more than 730,000 acres in the South Fork Trinity River, Mad River and North Fork Eel River watersheds, and implement a “careful program of individual tree removal” designed to reduce fire danger and improve forest diversity. Any proceeds generated from these projects will be kept local to fund additional restoration work in the area. The bill would also require federal agencies to study the possibility of creating a Bigfoot National Recreation Trail that would run from Trinity County to the Oregon border to “highlight the immense ecological diversity of Northwest California’s ancient conifer forests and other unique landscapes” and establish a partnership of federal, local and state agencies to restore public lands impacted by trespass marijuana cultivation. In addition to being touted as a conservation bill, some believe the legislation will have substantial economic benefits as well, drawing visitors to recreational opportunities in designated wilderness areas while protecting the natural resources at the heart of the North Coast’s tourism industry. Gregg Foster, ​executive director of the Redwood Regional Economic Development Commission, seems to agree. For more on the proposed legislation and the group of stakeholders aligning behind it, see press releases copied below from Huffman’s Office, CalWild and a coalition of supporters. Click here for some quotes from regional stakeholders. And check out an interactive map detailing the proposed legislation here. Huffman’s Northwest California Wilderness, Recreation, and Working Forests Act would restore national forestland and fish habitat, stimulate local economies through forest stewardship programs, enhance recreational opportunities including through trails and visitor centers, and reduce fire danger. The legislation would not limit hunting or fishing, close any legally open roads or trails to vehicles, or affect access to or the use of private property. 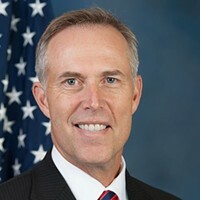 During this process, Rep. Huffman consulted with many stakeholders including: dozens of community leaders,tourism organizations, outdoor recreation groups, restoration specialists, tribes, county supervisors, conservation groups, timber industry, forestry experts, fisheries scientists, fire ecologists, and business owners. Huffman’s office has received over 200 letters of support and heard from constituents at four public meetings in Eureka, Crescent City, Weaverville, and Ukiah. Interested individuals can explore a map of these proposals. •	Designate a 730,000-acre South Fork Trinity-Mad River Restoration Area in the South Fork Trinity River, Mad River, and North Fork Eel watersheds in Trinity and Humboldt counties. Within this area, the ecological health of previously logged forests will be improved and the danger of unnaturally severe fires will be reduced through a careful program of individual tree-removal, especially within “shaded fuel-breaks.” Within these fuel-breaks, the trees with the greatest potential to provide the most shade over the longest period of time will be retained including, but not limited to, hardwoods like oaks and madrones. This will improve forest diversity, decrease fire danger along roads where most human-caused fires occur, and help young groves of trees develop into mature forest more quickly. Any proceeds generated from these projects will be returned to fund additional restoration in the Restoration Area, including steps to improve habitat for endangered salmon and steelhead trout. •	Establish a partnership of federal, state, and local entities that can help to clean and restore federal public lands in northwestern California affected by illegal trespass marijuana grows. Illegal marijuana growing on public lands has catastrophic impacts on wildlife and water quality and it poses serious threats to public safety. Experience shows that when illegal growing sites are fully cleaned up and restored that they are far less likely to be used again for trespass cultivation. •	Authorize old-growth redwoods restoration in Redwood National and State Parks through partnerships between the Department of Interior and state and local stakeholders. Ancient old-growth redwood forests provide carbon storage, clean air and water, are the ancestral home of several tribes, and bring millions of visitors to California every year. •	Require federal agencies such as the Bureau of Land Management and the Forest Service to cooperate and coordinate in managing fires in northwestern California’s wilderness areas. Therefore, even when a landscape such as the Trinity Alps Wilderness is managed by multiple federal agencies, these agencies must have a coordinated approach to managing fire in the area. •	Protect roughly 260,000 acres of federal public lands as “wilderness” by expanding nine existing wilderness areas and establishing eight new ones. Wilderness is the strongest protection available for certain areas of public land available under federal law. While camping, hunting, fishing, horseback riding, and other recreational activities can continue in these areas, logging, mining, the construction of new roads and other development is prohibited. The appropriate management of fire, including fire-fighting with bulldozers and aircraft, can continue in these wilderness areas if it is deemed necessary to protect public safety. •	Designate 379 miles of new “wild and scenic rivers” and mandates federal agencies to create management plans for 101 miles of existing wild and scenic rivers. Wild and scenic status will protect our purest and wildest remaining rivers from the construction of new dams or major new water diversions. As with wilderness, the protection of wild and scenic rivers will not impair existing private property rights. Protecting streams and watersheds safeguards habitat for endangered salmon and steelhead populations and conserves vital sources of clean water for drinking, fishing, and recreation. •	Direct federal agencies to work collaboratively with each other, local communities, and other interested parties to assess trail improvement needs in national forests in Del Norte, Humboldt, Trinity, and Mendocino counties. This could offer a blueprint for increasing access to trails for hikers, equestrians, off-road enthusiasts and others throughout the region. •	Require federal agencies to study the possibility of establishing the “Bigfoot National Recreation Trail” that will run from southern Trinity County to Crescent City. The trail will highlight the immense ecological diversity of Northwest California’s ancient conifer forests and other unique landscapes. •	Direct a study, and if feasible, construction of mountain biking routes in Del Norte County; designate the Elk Camp Ridge Recreation Trail; study the possibility of establishing the Trinity Lake Trail; and designate the Horse Mountain Special Management Area, which would enhance the recreational and scenic values of the recreation area while conserving the plants, wildlife, and other natural resource values of the area. •	Authorize the construction of interagency visitor centers in Weaverville in Trinity County and Crescent City in Del Norte County. •	The removal of all wilderness boundaries 200 feet away from private timber parcels, in response to concerns regarding California Forest Practice Rules. Oakland, CA— Today, Congressman Jared Huffman (D-San Rafael) introduced the Northwest California Wilderness, Recreation, and Working Forests Act in the House of Representatives. The bill will restore forests and fisheries, protect wild lands and streams and improve recreation opportunities in Del Norte, Humboldt, Mendocino and Trinity counties. •	Promote fuel reduction and forest and woodland restoration on 729,000 acres of public lands in southern Trinity and western Humboldt counties. Any proceeds generated from tree removal will be used to fund additional restoration and fuel reduction. •	Protect 313,000 acres of federal public lands as “wilderness.” Wilderness is the strongest protection available for certain areas of public land available under federal law. •	Designate 379 miles of new “wild and scenic rivers” and mandates federal agencies to create management plans for 101 miles of existing wild and scenic rivers providing critical habitat for threatened and endangered salmon and steelhead. •	Direct federal agencies to explore ways to improve motorized and non-motorized recreation trail opportunities, including mountain biking, on national forest and adjacent Bureau of Land Management lands in Del Norte, Humboldt, Trinity, and Mendocino Counties. •	Restore public lands affected by illegal trespass marijuana grows. 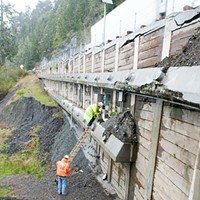 •	Authorize the construction of two public visitor centers in Trinity and Del Norte counties. •	Study the establishment of the “Bigfoot National Recreation Trail” from Crescent City to the southern Yolla Bolly-Middle Eel Wilderness boundary that will highlight the immense ecological diversity of northwestern California’s ancient forests and other unique landscapes. “This bill will likely be a model for the future of public lands bills. Our public lands have many users and advocates and building legislation by actively engages each of them is the way the conservation community will achieve new protections moving forward. We applaud Congressman Huffman for his visionary leadership on this effort,” said Chris Morrill, CalWild's Executive Director. Susan Molyneux, President of the Trinity Trails Alliance, a local chapter of the International Mountain Bicycling Association, said, “I am thrilled that Congressman Huffman's legislation includes a feasibility study for a trail around Trinity Lake. This project has the potential to increase recreation tourism in our county for all trail users and directly benefit the local economy.